User opens the appointment again and tries too open the attachement with a double-click. 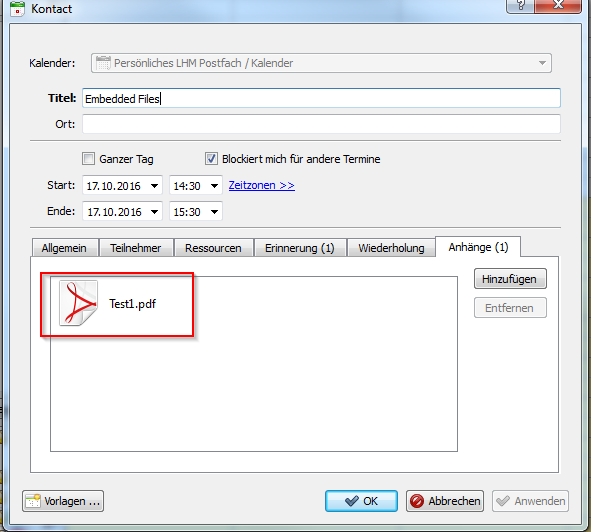 User receives a message that the file is already opened or used by another application. In the background Adobe was started but the document not. If the User double-clicks the attachement directly in the preview window it is working. 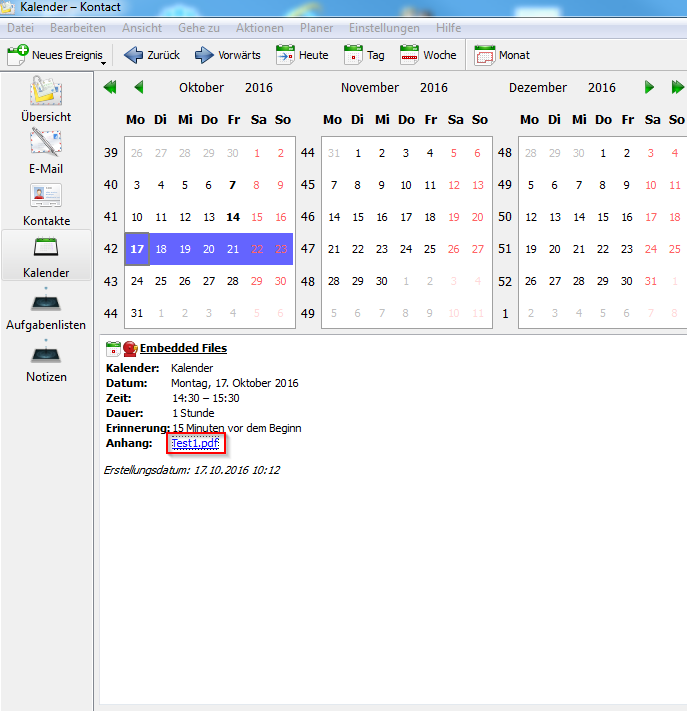 Robert_Selk renamed this task from Kontact - Calendar: Embedded Files to Kontact - Calendar: Error opening embedded files .